Improve Backlinks, SEO and Keyword Results! 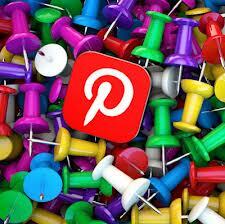 Pinterest has become one of the most important parts of social media. However, it has become one of the most misunderstood social media sites at the same time. Today let’s look at how your organization can benefit from Pinterest tips for a site which has more hits per day than Twitter, LinkedIn and Facebook combined. 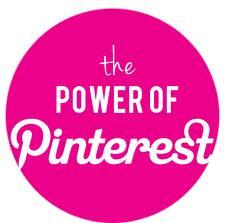 You may have heard that Pinterest is a site built for women, or that Pinterest is all about hobbies. I wonder if you have heard the truth about Pinterest, that is, did you know it is the hottest visual search engine on earth, or that more and more people use it for product and service comparisons. 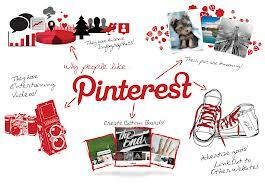 There is more too; Pinterest can link you to anything from videos to blogs to website pages and yes even Facebook pages! 1) The first of the Pinterest tips is to pin as many pictures that relate to your website and your product, service or mission as possible. The more pictures you pin that relate to your ideas and your organization in a way that more people will be attracted to your Pinterest boards. 2) The second of the Pinterest tips is to link the URL of each picture you pin to your Pinterest boards to a page in your website, or a particular cause report page or a video, even a Facebook landing page. 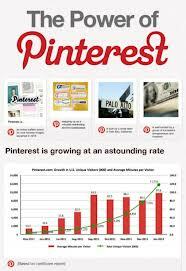 It is the URL link that makes Pinterest an effective marketing tool. 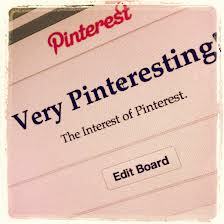 3) Any list of Pinterest tips would be incomplete if it did not mention SEO. You can SEO each picture within the world of Pinterest by captioning each picture with Keywords and Pinterest even allows hash tags (#) for increased search results within Pinterest. 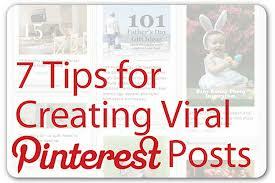 4) Another of the Pinterest tips is to SEO each board. Under the board description itself, you should fully explain the boards, making sure to pay attention to SEO within the explanation, then list the keywords at the end of the explanation with hash marks (#) for maximum exposure to both Pinterest search engines and outside search engines as well. 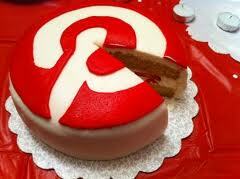 5) Pinterest tips to further promote SEO can go even deeper in to your website SEO strategy. Using the data from each page in your website, create a board on your Pinterest site with description and keywords that match, and link each picture on each board to the page with corresponding data in your website. 6) One of my favorite Pinterest tips is built right into the Pinterest basic commands. It is a tip that helps coordinate your entire social media network into a click generating machine. Each time you pin a new picture you are given the opportunity to tweet about it directly. Click yes tweet, and then insert a custom message before the link Pinterest pre-generates for you. This will encourage your Twitter followers to visit your new pin and your Pinterest boards and site by default! 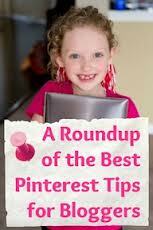 7) My favorite Pinterest tips of all is another one Pinterest offers as a basic tool, the Pin It button. Install this Pin It button on your Chrome Tool Bar and you can automatically pin any picture on any site you are visiting. If you see a picture you like on a site you are visiting click the Pin It button and all available pictures on that site come up, pick the picture you want and click the Pin It symbol. Then Pinterest gives you the option to pin that picture to whichever of your boards you want. Later you can optimize the pin with the methods listed above. Bonus: Make sure to install a Pin It button on your website to make it as simple as possible for others to pin pictures from your website to their Pinterest Boards. If they have not read the tips above, and they are among the 99% who simply pin pictures they like to their boards, the picture they pin from your website will be URL back linked to your website! Please, help us all. Pinterest is very new, if you have learned more Pinterest tips and tricks, then list them in the comments below and help us all! As this amazing marking tool, Pinterest, grows and shapes the marketing landscape of the Internet, let’s all grow our knoledge together!